For great auto repair Pleasant Hill drivers count on, they come to our auto shop in Walnut Creek. We’re located right off of the 680, making us a hop, skip, and a jump away from Pleasant Hill. Our auto shop is an easy alternative to visiting one for the expensive dealerships in Concord. Did your “check engine” light just go on? Have you noticed your gas mileage start to slump? 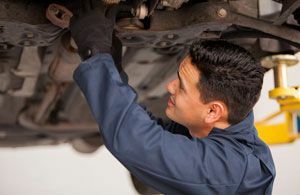 These could be signs of something that’s easily fixed with an oil change and tune up, or of something much more serious. Some models of car use the “check engine” light as an indicator for car maintenance, while other times it could be the sign of big trouble in the engine. The best way to handle the situation is to take your car to a shop that provides reliable auto repair. Pleasant Hill drivers know to come to us for the best quality and service in the 680 corridor. Our complete car maintenance includes an oil change, filter replacement, tire rotation/ inspection/ inflation, 30 point safety check, test drive (to make sure your car sounds and drives well), battery test, top off of fluids, and chassis lubrication. Bringing your car in for regular maintenance is the best way to ensure your car’s health and longevity. At our auto shop, we take pride in providing our customers with overall satisfaction and safety, which is why drivers who need auto repair near Pleasant Hill choose to come to us. Our full-service auto shop services most makes and models of car, including classic cars! We know that taking your car in for maintenance isn’t the most convenient errand, so we try our best to make things as smooth and easy for you as possible. We offer a local shuttle service, early pick-ups, late drop-offs, not to mention a 24-month / 24,000-miles. Make an appointment with us online, or feel free to call us with any questions.